SAN DIEGO–(PRNewswire)–Sempra Energy has selected Kevin Sagara as chairman and CEO of San Diego Gas and Electric, effective August 25. Sagara, 57, currently president of Sempra Renewables, has worked for the Sempra Energy family of companies in a range of leadership roles for 22 years. “Sustainability and innovation have become an increasingly important focus of SDG&E’s approach to customer service and Kevin Sagara’s expertise in these areas will further enhance the depth of SDG&E’s already strong leadership team,” said Joseph Householder, president and chief operating officer of Sempra Energy. “Kevin’s extensive commercial, legal, technology and regulatory experience will help SDG&E continue to adapt to the rapidly changing energy landscape.” Scott Drury, president of SDG&E since the beginning of 2017, will continue in his current role, reporting to Sagara. Under Drury’s leadership, SDG&E has become a national leader in providing clean, safe and reliable energy. Today, approximately 45 percent of the utility’s power supplies are sourced from renewable energy. Earlier this year, the Edison Electric Institute awarded SDG&E with the organization’s 2018 Edison Award, one of the most prestigious honors in the electric utility industry. Sagara, who will report to Householder in his new role as chairman and CEO of SDG&E, has served as president of Sempra Renewables since 2014. Sagara helped Sempra Renewables grow to become one of the largest renewable energy companies in the U.S. Previously, from 2013 to 2014, he was vice president of renewables and corporate development for Sempra Energy’s non-utility infrastructure development group. From 2010 to 2013, Sagara was vice president and general counsel in the infrastructure group. Prior to that, for seven years, he served as vice president and associate general counsel, corporate and commercial law, for Sempra Energy. 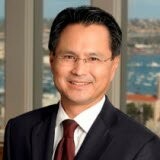 Sagara first joined the Sempra Energy family of companies in 1992 as an attorney with SDG&E. He left Sempra Energy to work in the technology sector from 1999 to 2003. Sagara is a member of the board of trustees of Hubbs-SeaWorld Research Institute and has served as a member on the Governor’s Committee on Energy Choice in Nevada. He also is on the advisory committee of the Harnessing Plants Initiative at the Salk Institute. Sagara has a bachelor’s degree in geography-ecosystems from the University of California, Los Angeles, and a law degree from UC Hastings College of the Law.